That's it, larking around in nowt but a t shirt time is over so, in order to leave enough cash to stock up the cosy urban wardrobe (tights! boots! cardigans! scarves!) here's how to stay cosmopolitan and cultural on the cheap this week. Tonight: First Thursdays bring you over 100 East London museums and galleries open till 9pm. Totally topical is NO:ID Gallery where Henry MacKeith: Sharing Light presents paintings showing social events such as G20 at bank and the recent Climate Camp. Works include photographs taken using a tent pinhole system which will be on demonstration on the show. Friday: It's Late at Tate Britain time again, this time led by the mysterious Diogenes Club presenting a "mix of high and low brow, mainstream and counter culture. Film, music and readings are presented throughout the galleries, exlporing new trends and artisitc platforms that are emerging out of the strange and arcane world that we call now." Free - Millbank, 6-10pm. Saturday: Three choices in escalating scale of expense: First up for free, it's the Liberty Festival in Trafalgar Square between 1-6pm with all sorts of events celebrating the contribution of deaf and disabled people to London. Hitting you up for £3 is Enfield Autum Show which offers a chance to stock up on chutney, watch a German strolling Oompah band and muck in with the Community Farm in Enfield Town Park from 10.30am. For the princely sum of £5 you can visit the Royal Artillery Museum at Woolwich which is hosting Wartime Evacuee Day. Sunday: Explore the urban jungle at Camley Street festival between 11am-7pm. 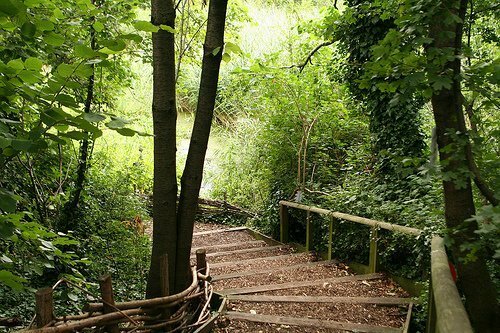 This free celebration of one of our favourite Nature-ist spots brings you bushcraft in a yurt, mini beast hunting and pond dipping plus live music and a splash of carnival. Monday: It's Crowley night: a loose meet-up for followers of Aleister Crowley and those interested in him at the Devereux in Devereux Court at 8pm. Tuesday: There's a pop up salon at 295 Regents Street. It's doing some great stuff, all free, until 11 September. Tonight: "Gasp with delight and recoil in horror as Monsieur Montpellier performs stories from his incredible life as chosen by you the audience! Ably assisted by his confidante Le Cabaret, Montpellier deftly showcases magic, mind reading and illusion as he attempts to cement his reputation as the greatest showman on earth!" Doors 7pm, show 7.30pm. Wednesday: Go back to the Salon for free sketch comedy from Three Englishmen and poetry from Simon Barraclough. Free, as before. Awesome. We do our research and hear about a lot of great cheap and free stuff but if you know about something happening that's easy on the wallet and heavy on the interesting, please share and let us know!